Reaction Innvoations Trixie Shark, topwater buzzbait, frog. 4.75" Long, 1/4oz. 8 Pack. 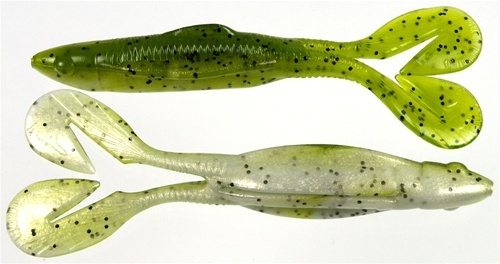 Trixie Shark topwater buzz style frog, excellent for fishing heavy surface cover .